When you arrive in beautiful Valencia, one of the first things that you will notice is the stunning skyline. You'll start to wonder how this exquisite city is normally overlooked in favour of Spain's two larger cities, Madrid and Barcelona. Well, not any more. Valencia has fast become Europe's new hot spot. The city hosts a plethora of dynamic museums and has a gloriously up-and-coming dining scene (be sure not to leave without trying some local paella). There's also a fantastic shopping district where you'll easily whittle away the hours soaking up the element Mediterranean vibe. When the sun goes down, Valencia's vibrant nightlife awaits you with a wide selection of bars and clubs to suit all tastes. Just like it's sunny oranges would have you believe, the weather in Valencia stays gloriously Mediterranean even throughout this winter. This makes it a great location to visit even in January and February. However, if you like it tropical, visit in the spring and summer months where you're pretty much guaranteed sunshine. 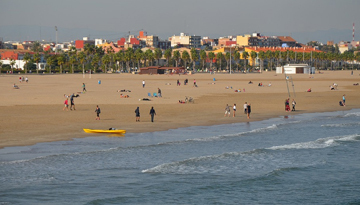 Lufthansa offers low-cost flights to Valencia from London - price starts from only £133 as One Way. 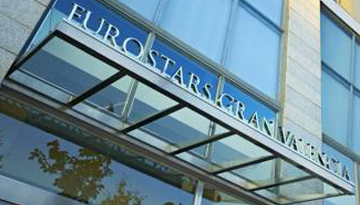 4-star Eurostar Gran Valencia has rooms in October for just £42 a night. 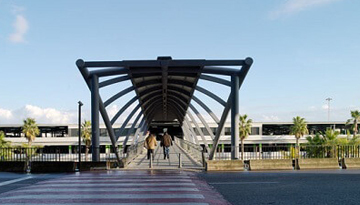 Fly from Gatwick - Valencia & Stay for 7 nights with 4 star accommodation. Room Only.